Hard to believe that saxophonist/composer/arranger/activist Fred Ho is gone He passed on April 12, his 8-year battle with cancer come to its inevitable conclusion. Born in California, 6-year old Fred Wei-han Houn moved with his family to the East Coast when his father was appointed to the faculty of the University of Massachusetts/Amherst. Ho first picked up the baritone saxophone (his reed instrument of choice - he also played native Japanese reeds, percussion and more) at the age of 14, the same year he read "The Autobiography of Malcolm X" and both events set the stage for his musical life. Not one to shy away from the spotlight nor run from an ideological fight, he enlisted in the Marines and, upon his discharge, attended Harvard University. He moved to New York City in the early 1980s, formed the Afro Asian Music Ensemble (one of many large ensembles that he would go on to lead which included the Green Monster Big Band, the Monkey Orchestra and the Saxophone Liberation Front.) He also appeared in the Julius Hemphill Sextet, the Charli Persip Superband, the Gil Evans Orchestra and Archie Shepp's Attica Blues Big Band. He had a "huge sound" yet could whisper and purr when he so desired. Much of the material he composed for his various projects did not shy away from his left-leaning politics. And, he could really lay the sarcasm on thick but always with music that had great power. Ho composed operas and suites that dealt with women's issues, Chinese folklore, Black power, Muhammad Ali and martial arts. He also wrote several books (especially about his battle with cool-rectal cancer) and was an active blogger. Fred Ho is the subject of an upcoming bio-pic "Diary of a Dragon: The (R)Evolution of Fred Ho" (check out the trailer at www.youtube.com/watch?v=NC_tW6MPSHk). 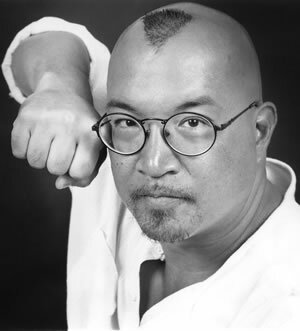 During his busy life, Fred Ho worked to change and to free people's minds. He fought conformity, mediocrity, capitalism as well as racial and gender inequality. He fought to his last breath, never gave up hope and never gave in to depression. He stands out as a musician, as a social activist and as a human being. Bless him, he could certainly play the baritone saxophone His spirit lives on to spur others into action to make this often uncaring world a better place for all people. To find out more, go to www.bigredmediainc.com/ ‎.